Microsoft announced Paint 3D app for Windows 10. Paint 3d is a Universal Windows Platform, and it heavily focuses on 3D features. The new Paint 3D app for Windows 10 also includes a modern user interface, optimized for touch displays which should make it work smoothly on devices like the Surface Pro 4. 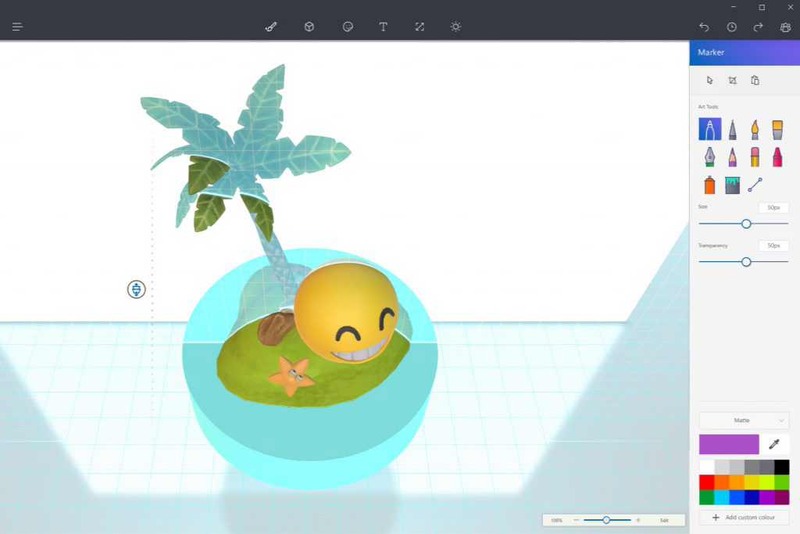 The basic features such as the ability to sketch, insert text, draw 2D shapes is also available on the new Paint 3D app but those are just the basic features you expect most editing apps to include. Microsoft is also introducing a community for the Paint 3D app, where users will be able to share the creations. The company will also allow Minecraft players export their creations in 3D, which will then allow them to print the 3D creations from the Paint 3D app. The Microsoft Paint 3D Preview app is available for Insiders only with build 14800 or above.